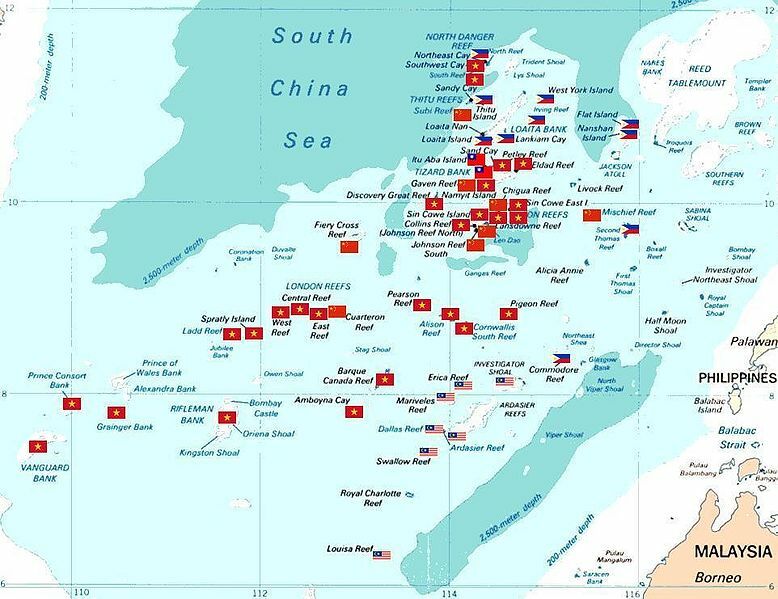 In response to the People’s Republic of China’s recent sovereignty claims over the entire South China Sea/West Philippines Sea and China’s escalated aggression in those international waters, US President Obama and his administration have been attempting to develop a stronger diplomatic program and enhanced defense capabilities in the southwest Pacific area. The White House, the US Department of Defense, and the US State Department have all announced various diplomatic and military initiatives in the region with increasing frequency in the last few years. Image by US Office of Pres., public domain. Before examining US efforts at alliance building with the Philippines or other nations in the region, we should first understand what the US government wants to achieve in the region. Press releases and conferences conducted by politicians and their various lackeys often contain many words and little meaning. In this particular instance, I feel certain that the policy statements delivered by Sheer on that occasion were as clear and as accurate as the US government could possibly be. My impression is that the White House, the DOD, and the Department of State were all very much in agreement on the policy and goals that were announced that day. Everything that the US government has done concerning the Southwest Pacific region since that policy statement was issued clearly supports the same policies. Against that clarity from the US government, we see constant contradictions between what China has stated concerning the South China Sea, as compared to its actions. For example, China has constantly said that it has no intentions of militarizing its recently expanded Spratly Islands bases, but it has installed missile systems and dispatched fighter planes to the Spratlys. That lack of honesty and clarity on the part of China may be convenient in support of its constant propaganda efforts, but it has fueled suspicion toward China in its Pacific neighbors. In the Philippines, China has fueled renewed anxiety concerning Philippine National Security in both economic terms and military terms. In economic terms, the Philippines does not want to surrender fishing and mineral rights in the West Philippine Sea to the People’s Republic of China. In both military and economic terms, the Philippines does not want to lose the right of navigation in its own waters and in the international waters of the South China Sea. While China has invested heavily in attempting to reduce US presence and influence in the Philippines, its actions have had the opposite effect. 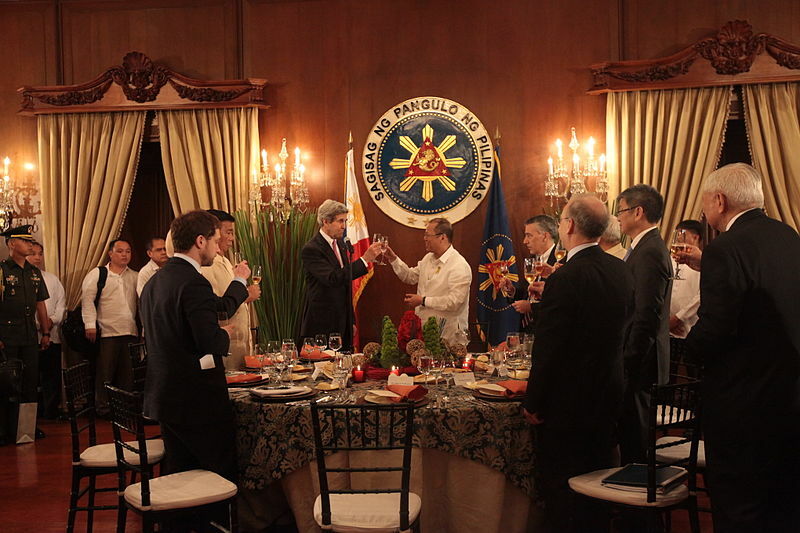 Relations between the US and the Philippines are rapidly improving and expanding. Unlike during the fake democracy of the Marcos regime, the Philippine government now has the clear support of the Philippine people in its efforts to increase US and Philippine military and economic cooperation. So, for those who wonder, beyond rhetoric, what do invigorated US-Philippine relations amount to? On the surface, US-Philippine military relations are simple enough. The US and the Philippines have had a strong mutual defense agreement since 1951. Under the surface, things get a bit more complicated. In political terms, US-Philippine relations have had a much greater impact in the Philippines than in the US. The view of the Pacific from Manila is rather more concerning than the view of the Pacific from the beaches of Hawaii. For Filipinos, communist China’s increased aggression is a more real and present danger than it is for voters in the US. The political climate in the US has not been greatly influenced by events in the South China Sea, but in the Philippines, it has had a transformational impact. Overall, US popularity in the Philippines has been relatively high since World War II, and recent independent polls indicate it is definitely increasing. An alternative way to indirectly measure US popularity in a nation is to measure opposition to cooperation with the US by that nation’s government. On that score, the Philippine government’s initiatives to increase US-Philippine military cooperation have been met with little resistance in that country. By comparison, when President Corazon Aquino tried to renew the soon-to-expire US military base leases in the Philippines in 1990-1991, she met with strong resistance from the Philippine Senate. The US felt that the new lease price tag was far too high. The leases were not renewed, and the US vastly decreased its presence in the Philippines. Those events still matter because senior military leaders and professional diplomats remember them, and those memories rightfully somewhat influence current thinking. That bit of bitter history notwithstanding, the US and the Philippines have agreed to increase US military presence in the island nation. US taxpayers will be relieved to know that thus far, the US has been reluctant to use the insane “Operation Cash Storm” technique that the it is currently using in Iraq (to little measurable effect.) Speaking only for myself, I am certain that a few rather dubious high ranking military officers in the Philippines are greatly disappointed that the storms of cash have not arrived at their doorsteps. In this instance, the White House has listened to the advice from the CIA, the DOD, and the State Department and is exercising a modicum of financial caution. What the Philippines has received has been fairly generous and practical. They have received a third Hamilton Class Cutter that had been decommissioned by the US Coast Guard. They have also received relatively small amounts of infantry equipment and ammunition. The Philippine military could further assist itself by accounting for earlier equipment deliveries that have not found their way to the troops at all. The US has also agreed to pay for base improvements at bases where the US has once again been granted access. Unlike earlier base agreements, the US will have access to bases that remain under the control of the Philippine government. 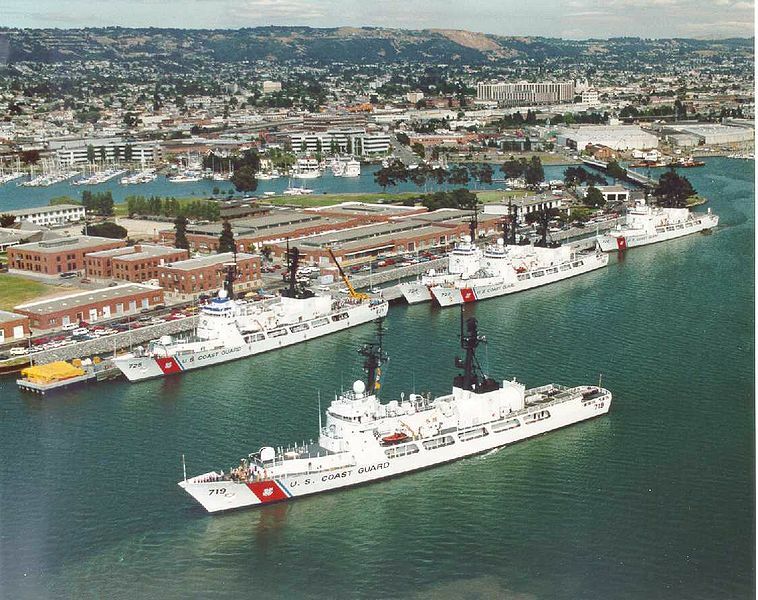 However, probably the most important military aid has come in the form of joint training exercises with the US Navy and Marine Corps since the Philippines still lacks the equipment experience to conduct such ambitious exercises without the help of the US. The key to improving the Philippine military will not depend on how much US taxpayers are willing to spend on them, but rather on their own willingness to carry out reforms and improvements that the Philippine government has been promising to implement for the last ten years. The threat of communist China’s imperial agenda is real enough to drive the US to renew and expand cooperation with the Philippines. Whether or not it will spur the Philippine government into meaningful action remains to be seen. The US government has made it clear that the Philippines will be the main focus of any increased US diplomatic and military efforts in the South China Sea region. In my opinion, the US government’s efforts to improve our alliance with the Philippines have been reasonable and effective. In our next installment on US/Asia-Pacific Alliances, we will examine a less complicated and more predictable case when we consider the US-Japan alliance.